Sara is a journalist and filmmaker. She has worked for Newsnight and Panorama. Her last film, “The Killing of Farkhunda” was nominated for a Royal Television Society award in the UK for Best International Current Affairs Documentary. She is the founder of Afshar Films. 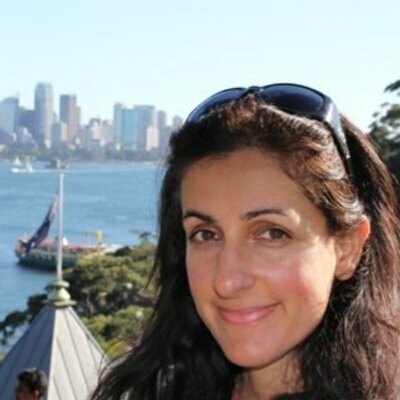 Sara is the director and producer of Syria’s Disappeared. Born in Damascus, Syria and a graduate of New York's Juilliard School, Azmeh is a Grammy award-winning musician and member of Yo-Yo Ma's Silk Road Ensemble. Hailed as a “Virtuoso” and “Intensely Soulful” by the New York Times and “Spellbinding” by the New Yorker, and “Incredibly Rich Sound” by the CBC. His utterly distinctive sound across different musical genres has gained him international recognition as a clarinetist and composer. 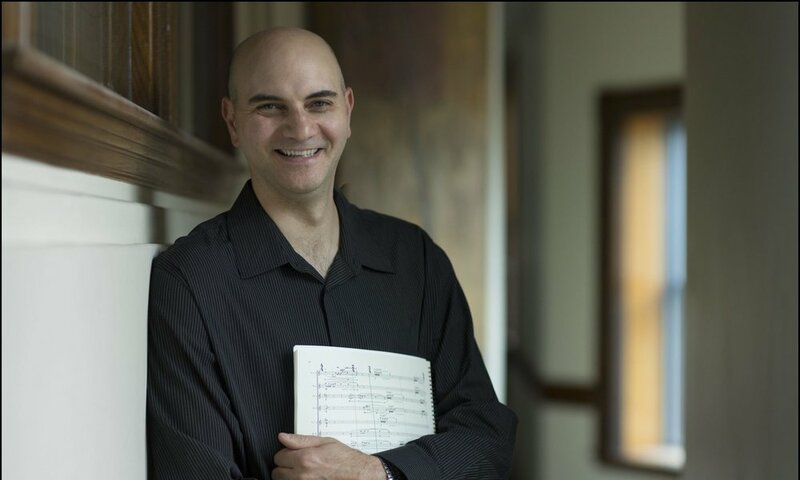 Kinan was recently named composer-in-residence with Classical Movements for the 2017-2018 season. Stephanie Fribourg is a French stage actress, stage director as well as theater teacher. She holds a Masters in acting and studied in France, at the Conservatory of Bordeaux as well as at the acting academy ENSATT (École Nationale Supérieure des Arts et Techniques du Théâtre) in the Département Comédie first at the Rue Blanche in Paris, then in Lyon. Since 2009, she is the Artistic director of L’Oiseau Bleu and has both written and directed students in French productions which have received yearly awards, five being honored with the “Grand Prix,” at the annual Festival, “Première Scène,” of the French Lycée of NY. Kiley Holliday is a New York City based yoga teacher, wellness counselor, and certified Tea Master. The practice of yoga, in her view, is a means to heal the body and focus the mind in order to maintain a relative state of equanimity. Kiley is certified E-RYT 500 by Yoga Alliance, and has studied under Dana Flynn, Ana Forrest and Tiffany Cruikshank, as well as numerous other talented teachers in Los Angeles and NYC. She teaches hot power yoga, acrobatic vinyasa flow, and yoga for athletes both privately and in studios around New York City, in addition to leading retreats and workshops around the world. Nicholas Jaeger is the International Rescue Committee’s (IRC) Regional Program Officer for the Middle East. Based at the IRC headquarters in New York, Jaeger supports program development and implementation for IRC’s Lebanon, Jordan, Syria, and Iraq Country Offices. Jaeger joined the IRC in November 2015. Prior to the IRC, Jaeger worked for five years with another New York-headquartered NGO, supporting humanitarian relief and development programming in Armenia and Georgia and managing a global relief supply distribution program, through which he supported local and international partners in Lebanon, Jordan, Iraq, and Southern Syria. In 2010, Jaeger managed a short-term citizen diplomacy project in Damascus, Syria, facilitating face-to-face exchange between American and Syrian students and young professionals. Jaeger has a Master’s degree in International Affairs from Columbia University’s School of International and Public Affairs (SIPA). Qutaiba Idlbi is a Senior Consultant with Pechter Polls specializing in social psychology and cultural appropriation in the Middle East with a focus on Syria and a Researcher at the Global Policy Institute, working on policy and advanced education in the Middle East. Qutaiba is a native of Damascus. He was in Syria at the outbreak of the protests in March 2011, detained twice by Syrian internal security services and forced to leave the country. Since leaving, Qutaiba has supported numerous Syrian political and humanitarian efforts both domestically and internationally. He has extensive refugee experience, advancing national engagement efforts as a Research Assistant with the Lutheran Immigration and Refugee Services, promoted refugee awareness through numerous speaking engagements across the U.S, acted as Associate Producer for the Red Lines documentary and has volunteered for various refugee relief organizations in Lebanon and Egypt. His research experiences include working as an Associate with Caerus Associates, focusing on governance and security developments in Syria, and providing research assistance on the different governance and military structures in Syria to Mouaz AL-Khateeb, the founding president of the Syrian National Coalition. 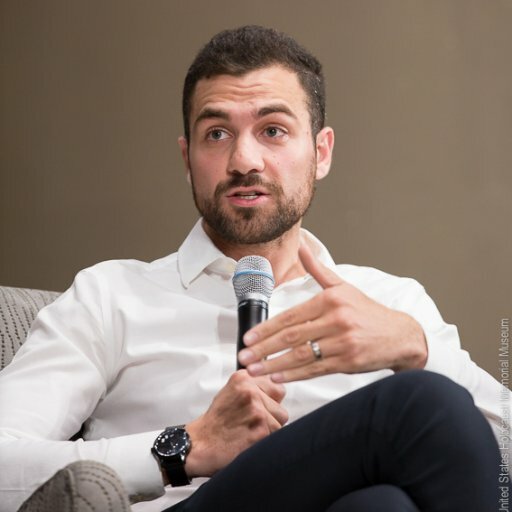 Qutaiba is also a Co-Founder and was the Vice President of People Demand Change, an aid and development firm providing service delivery and monitoring and evaluation support to conflict areas in Syria, Yemen, and Lebanon. Featured in Sara Ashfar's film, Syria's Disappeared, Stephen J. Rapp served as US Ambassador-at-Large heading the Office of Global Criminal Justice in the State Department under the Obama administration. In that position he coordinated US Government support to international criminal tribunals, including the International Criminal Court, as well as to hybrid and national courts responsible for prosecuting persons charged with genocide, war crimes, and crimes against humanity. He gained particular attention for his work to lay the foundation for accountability for crimes in Syria, most prominently by arranging for the United Nations Commission of Inquiry and other prosecutorial authorities to gain access to a cache of 55,000 photos that documented torture by the Assad regime. Rapp is currently a distinguished Fellow at the United States Holocaust Memorial Museum's Center for Prevention of Genocide and at The Hague Institute for Global Justice. Dr. Irwin Redlener is President Emeritus and Co-Founder of the Children’s Health Fund, a philanthropic initiative that he created with singer/song-writer Paul Simon and Karen Redlener to develop health care programs in 25 of the nation’s most medically underserved urban and rural communities. He is a nationally recognized expert in child health, health policy, homelessness, the impact of poverty and the social determinants of health. Dr. Redlener is also founder and director of the National Center for Disaster Preparedness at Columbia University, which, among other areas of interest, focuses on the vulnerability of children during and after large-scale disasters. He has spoken Dr. Redlener is a professor of health policy & management at Columbia’s Mailman School of Public Health and in pediatrics at the medical school. He has been an advisor to many administrations, federal and state, on child health, poverty and disaster related policies. His latest book, The Future of Us: What the Dreams of Children Mean for 21st Century America (Columbia University Press) will be released in September 2017. Lara Setrakian is the co-founder and CEO of News Deeply, a startup that creates news platforms and builds passionate communities centered on the biggest issues and trends of our time. Her team's inaugural site, Syria Deeply, launched in 2012 and won the Excellence in Online Journalism Award from the National Press Foundation. The team went on to launch Ebola Deeply, Water Deeply, Arctic Deeply, Refugees Deeply and the Women & Girls Hub; the model is now expanding to cover new topics in environment, public health, geopolitics and social impact. Each site brings together reporters and editors with specialized experience in the subjects they cover, augmented by a network of experts who share their insights and perspectives. For her work in building this model, Fast Company named her one of the “Most Creative People in Business,” while Inc Magazine called her one of “8 Women Who Could Own the Future.” Before launching News Deeply, Setrakian was Middle East correspondent for ABC News and Bloomberg Television. Lara is a Young Global Leader of the World Economic Forum and a Term Member of the Council on Foreign Relations. She has been featured in Mashable, TechCrunch, TIME Magazine, the Guardian, Marie Claire, the New York Times and on MSNBC, NPR and CNN. Jennifer Trahan is Associate Clinical Professor of Global Affairs at N.Y.U. She teaches: International Law; Human Rights; International Justice; Transitional Justice; U.S. Use of Force & the “Global War on Terror,” and a field intensive on Justice in the Former Yugoslavia. She has served as counsel and of counsel to the International Justice Program of Human Rights Watch; Iraq Prosecutions Consultant to the International Center of Transitional Justice; and worked on cases before the Special Court for Sierra Leone and the International Criminal Tribunal for Rwanda. She has also served as an Independent Expert to Meetings of the International Criminal Court’s Special Working Group on the Crime of Aggression, and to the International Criminal Court’s Review Conference in Kamapala, Uganda; as Chairperson of the American Branch of the International Law Association’s International Criminal Court Committee; and as a member of the American Bar Association 2010 ICC Task Force. Ali is an anchor & correspondent with MSNBC. Most recently, he hosted “Ali Velshi On Target” a nightly prime-time show on Al Jazeera America that spoke truth to power through debate, interview and on-the-ground reporting. Velshi has reported from the U.S. Presidential campaign trail, as well as covering ISIL and the Syrian refugee crisis from Turkey, the days leading up to the nuclear deal from Tehran, the tensions between Russia and NATO from Eastern Europe and the High Arctic, the debt crisis in Greece, and the funeral of Nelson Mandela in South Africa. Ali is the author of “Gimme My Money Back” and co-author with CNN’s Christine Romans of “How to Speak Money." Born in Kenya and raised in Canada, Velshi graduated from Queen’s University in Canada with a degree in Religion, and was awarded an honorary Doctorate of Laws from his Alma Mater in 2016. Velshi splits his time between New York City and Philadelphia. Active in the community, Velshi serves on the Board of the Chicago History Museum, and is a member of the Council on Foreign Relations. He volunteers with the New York’s Center for Urban Community Services homeless outreach program one morning per week. film Stone Time Touch and has three acclaimed albums to its credit.